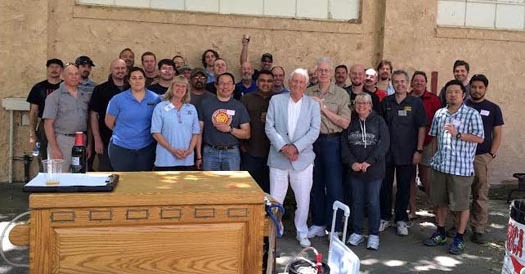 Jim Stitt, longtime label designer for Anchor, and Dave Burkhart, Anchor’s Design and Graphics Production Manager, spent Saturday, May 10 together at the Alameda County Fairgrounds in Pleasanton CA. 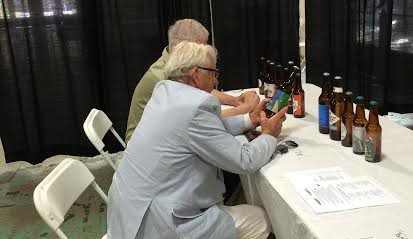 After enjoying some delicious BBQ and homebrew with the knowledgeable and affable judges of the Alameda County Fair (Bay Area Brew Off) Homebrew Competition, Jim and Dave judged the Homebrew Label Competition. 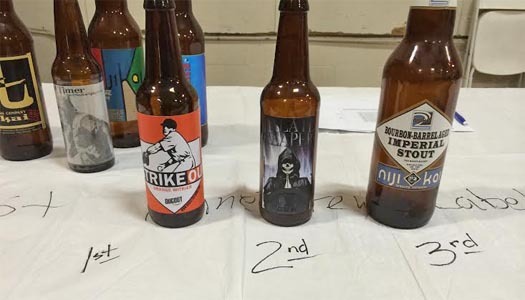 The top prize went to Dugout Brewing for its Strikeout Orange Witbier label, second to Dugout for its Palate Reaper IPA label, and third to a handsome Nijikai Stout label. In a special label category–Taste the Red, White, and Blue at the Alameda County Fair–Fair Play Pilsner took top honors. Congratulations to the winners!